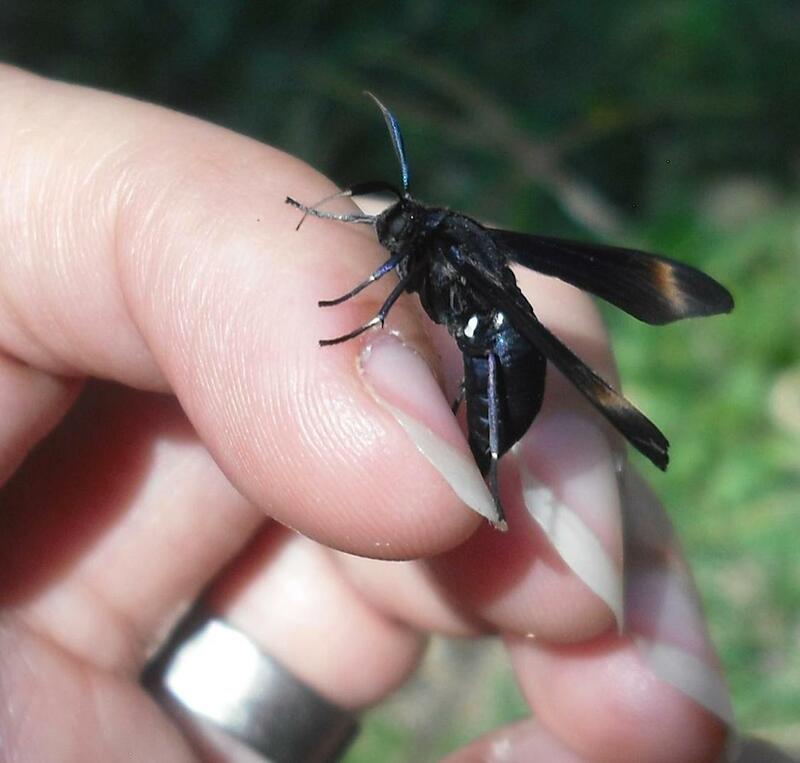 For the past few months, I’ve been neglecting Cuerna Critters. 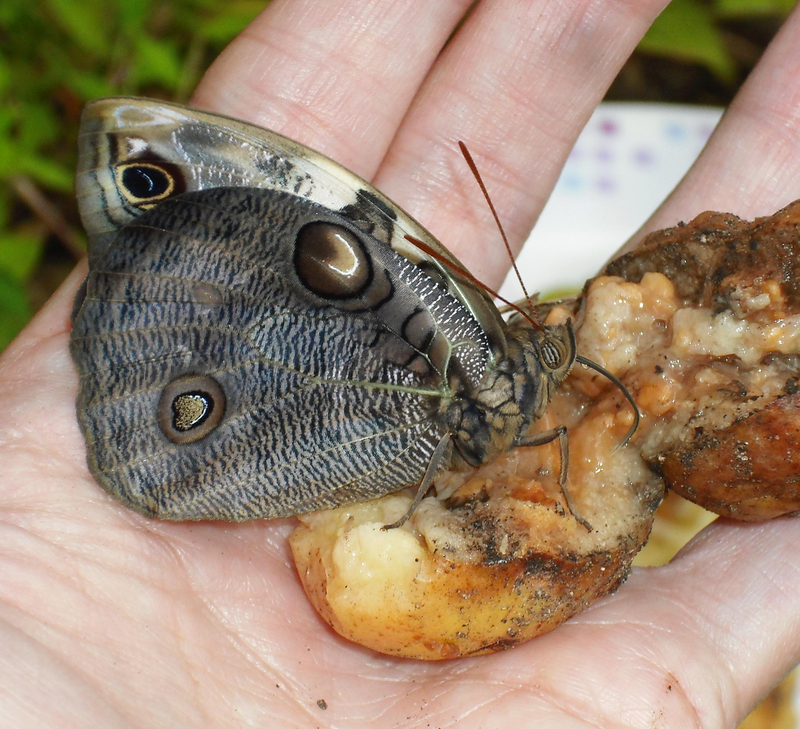 To make up for it, I’ve put together some of my favorite shots from 2014. 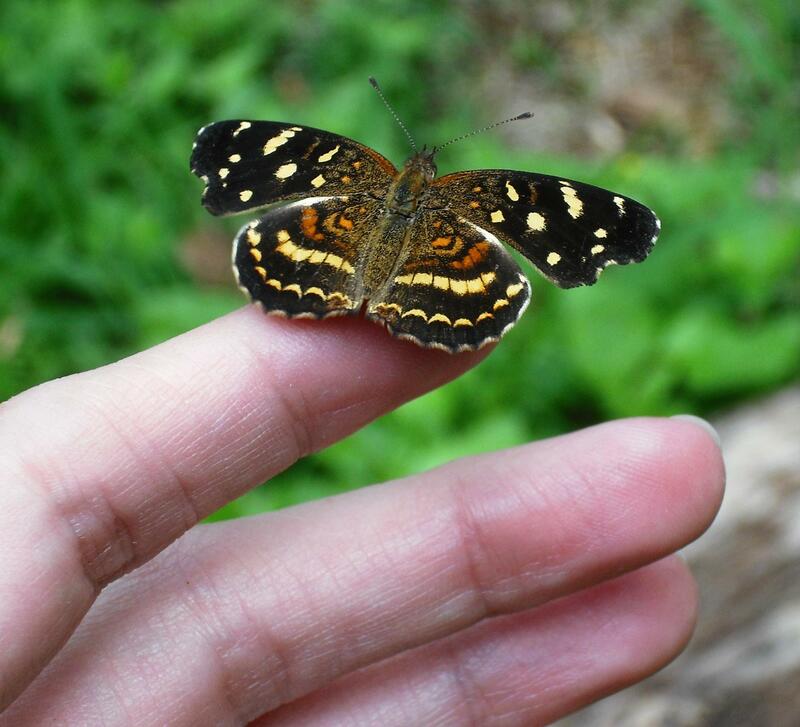 My favorites this year were the butterflies and moths. The shots below are shown in chronological order so you can get an idea of what I saw as the year progressed. 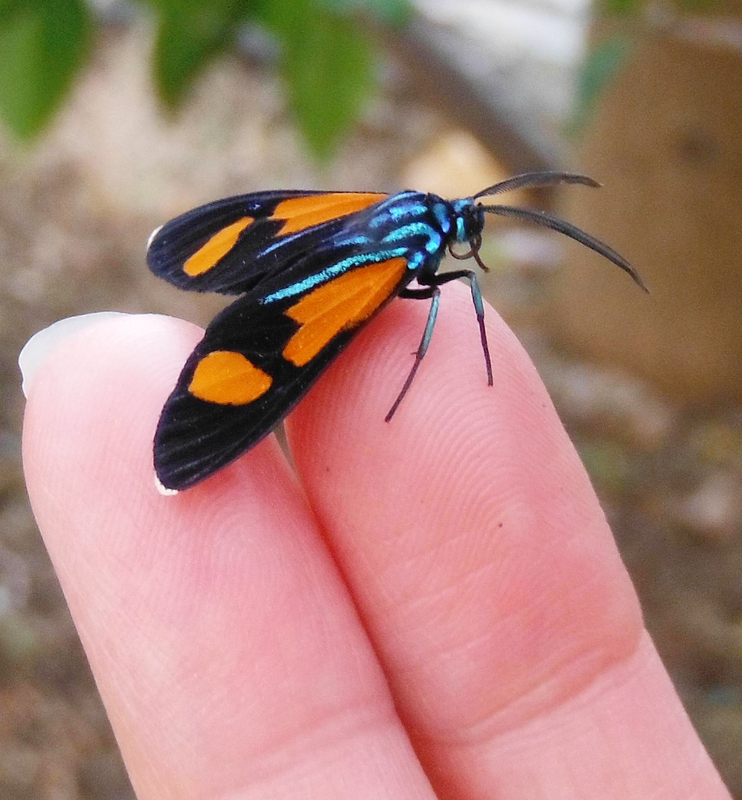 It was a great year for ‘bugging’! 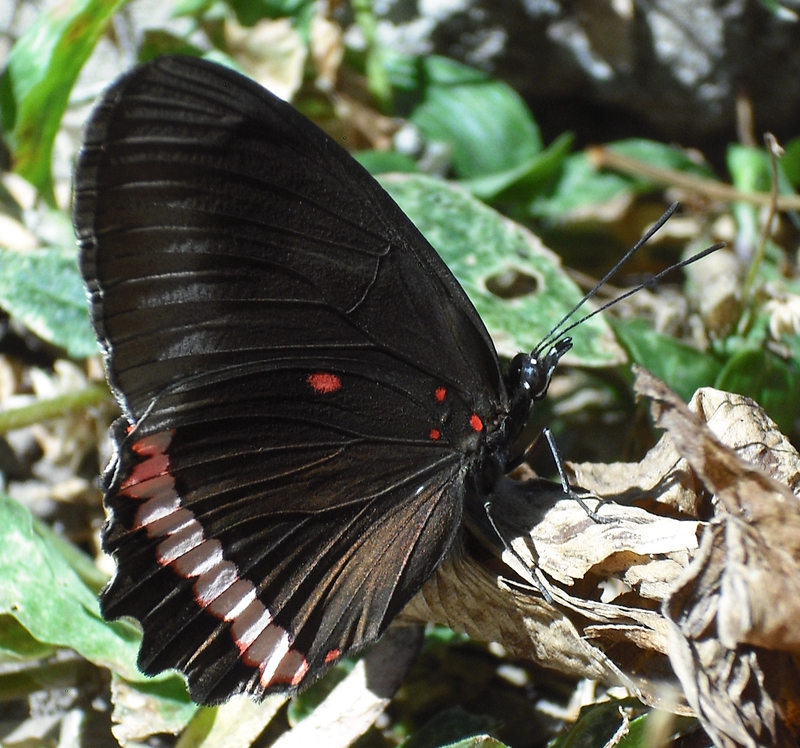 Red Rim (Biblis hyperia aganisa). January 12. 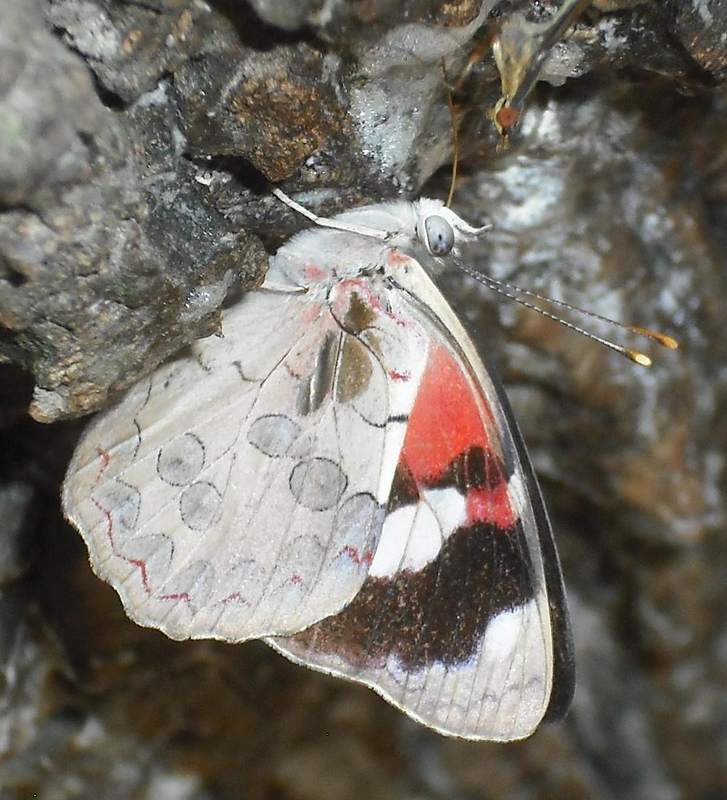 White-Patched Eighty-Eight (Diaethria bacchis). Jan. 31. 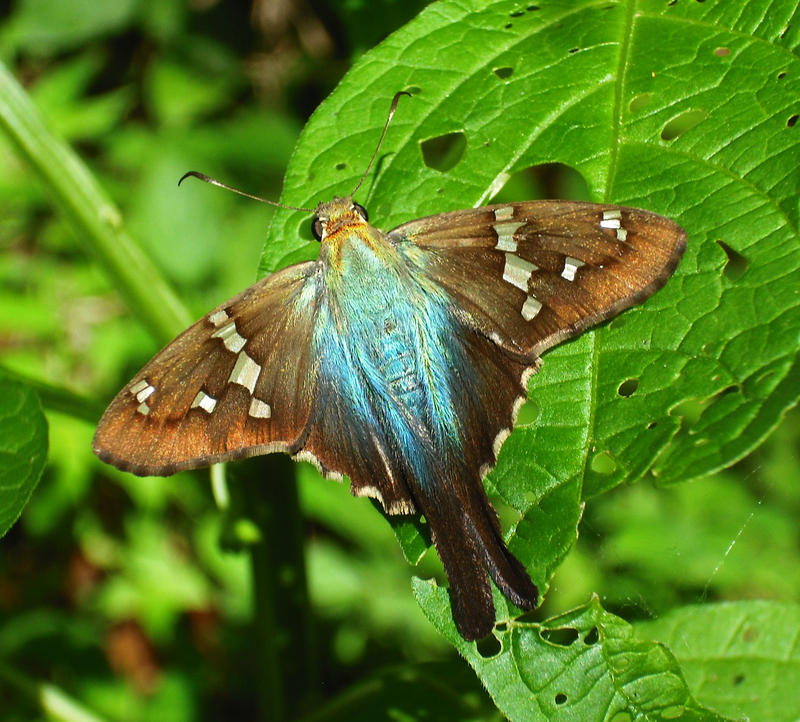 Moth (Cyanopepla sp.). February 3. 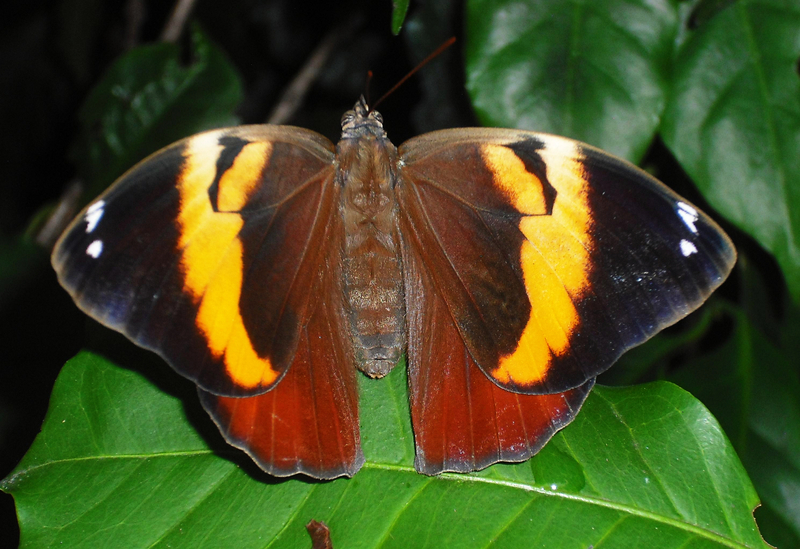 Orange Owl-Butterfly (Opsiphanes boisduvallii). February 4. 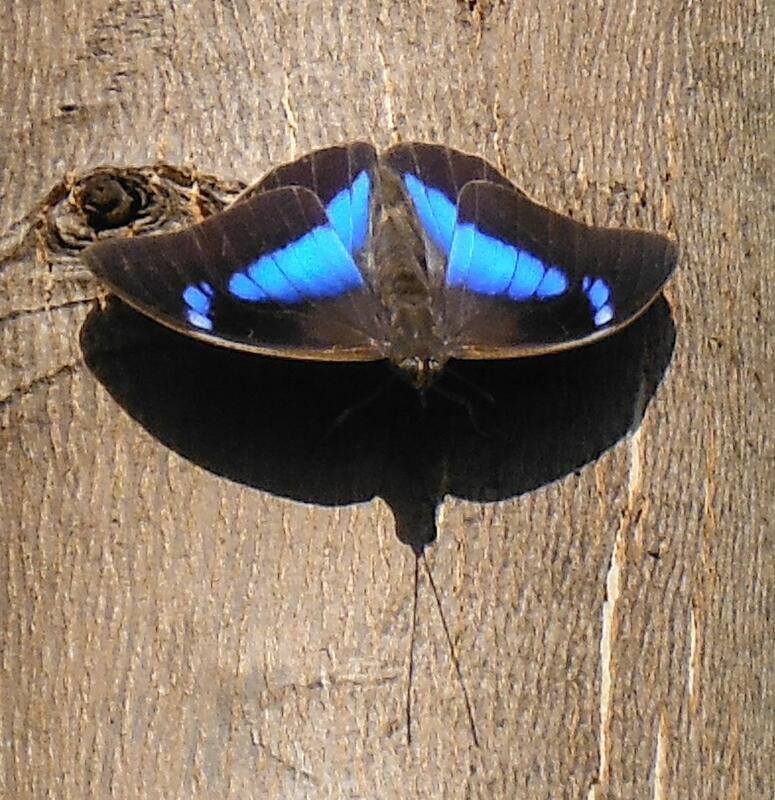 One-Spotted Prepona (Archaeoprepona demophon occidentalis). February 6. 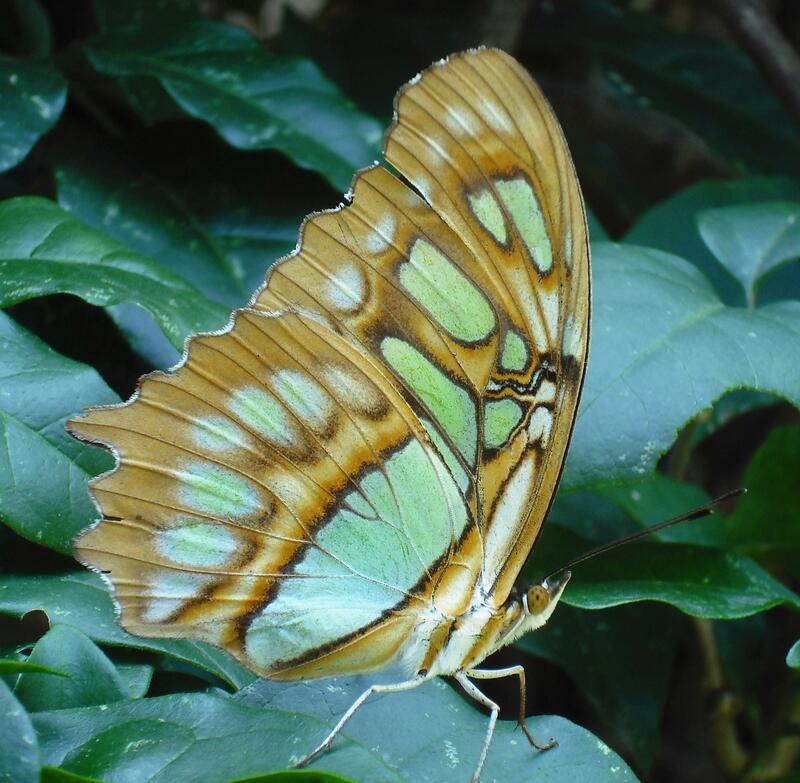 Malachite (Siproeta stelenes biplagiata). March 10. 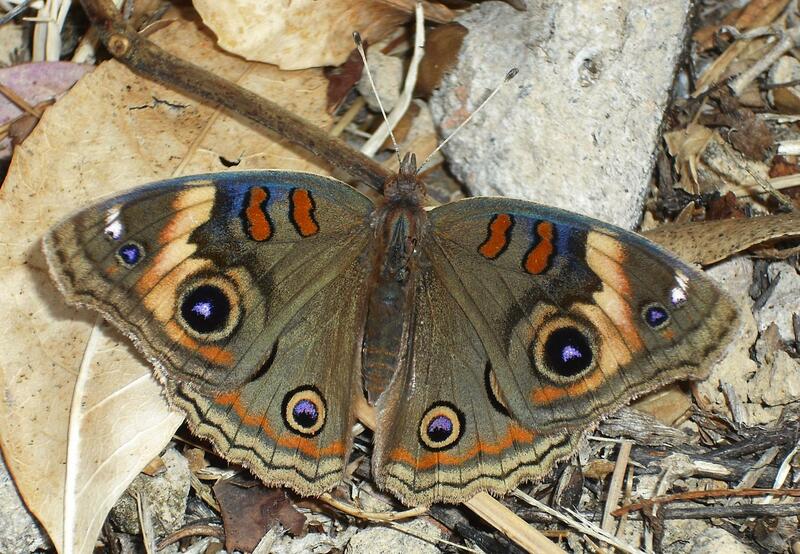 Buckeye (Junonia evarete?). March 10. 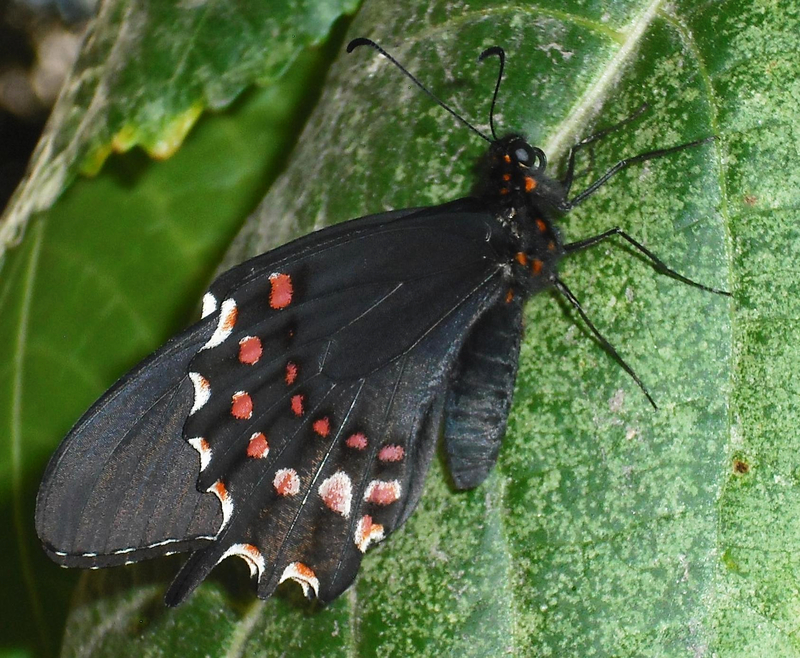 Pink-Spotted Swallowtail (Papilio rogeri pharnaces). March 15. 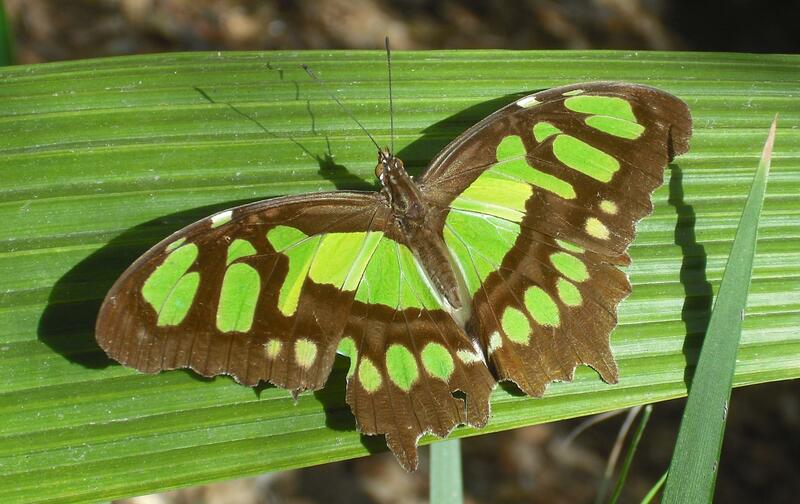 Malachite (Siproeta stelenes biplagiata). March 30. 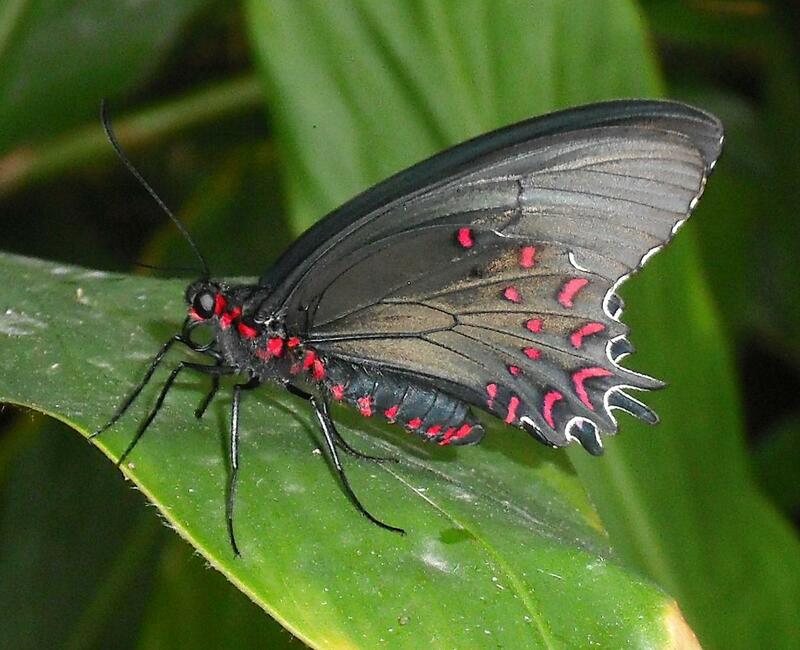 Pink-Spotted Cattleheart (Parides photinus). April 27. 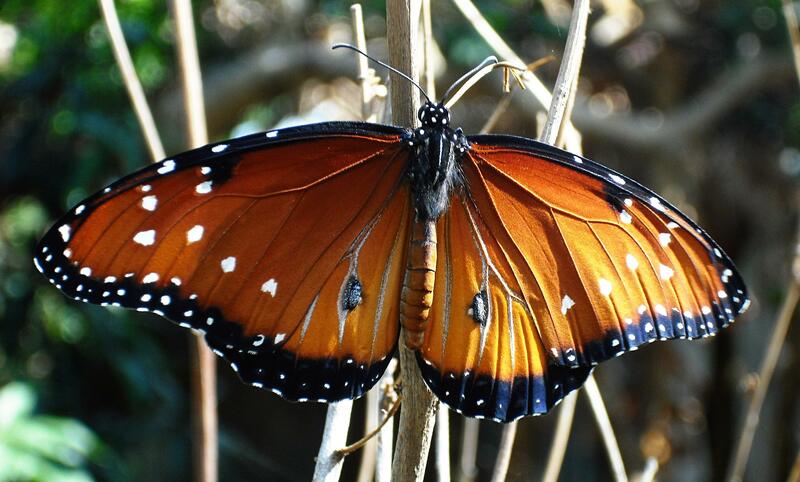 Queen (Danaus gilippus). May 9. 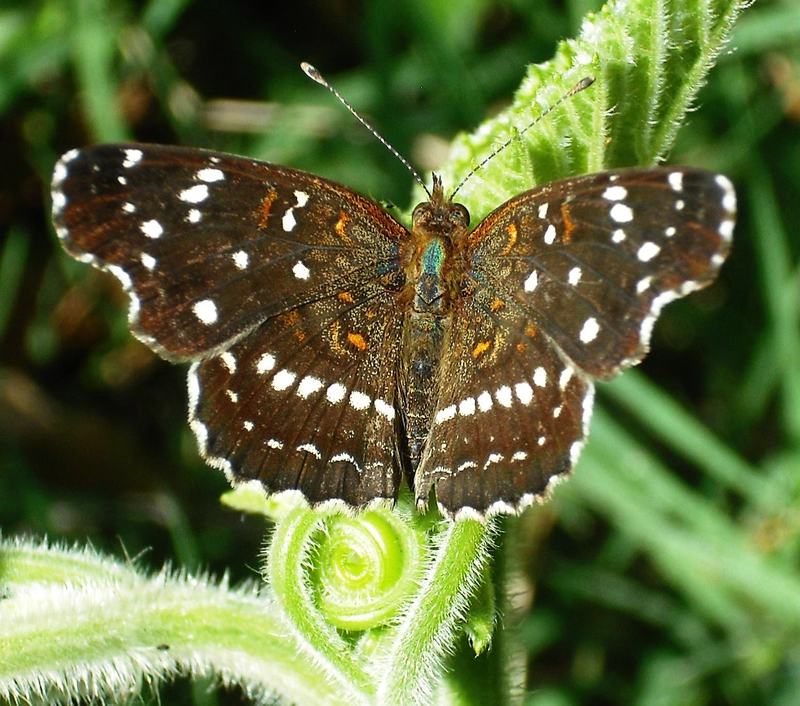 Darkened Crescent (Anthanassa ptolyca amator). May 25. 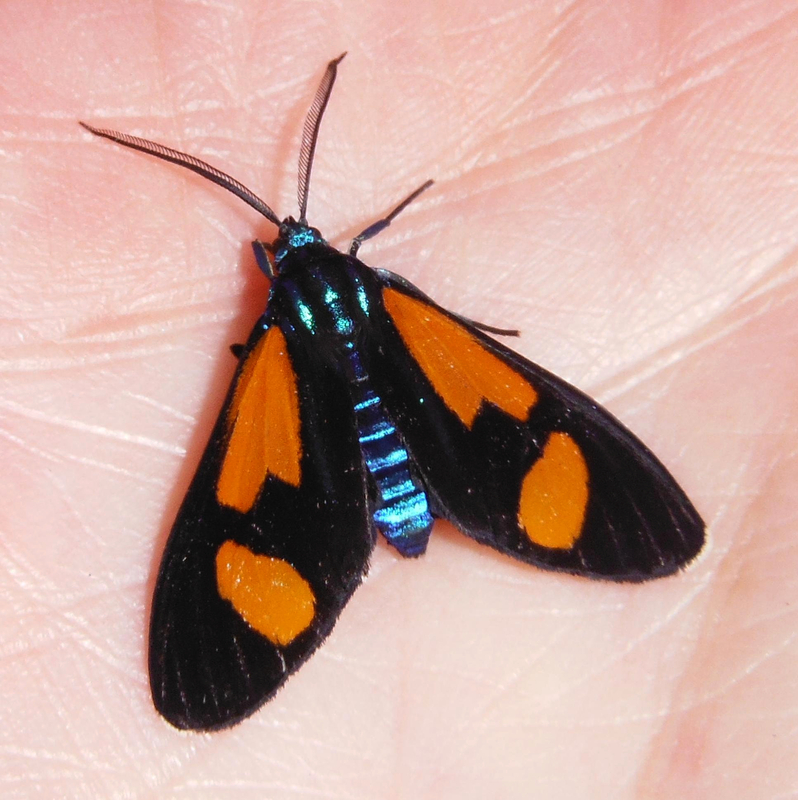 Bumblebee Metalmark (Baeotis zonata). May 25. 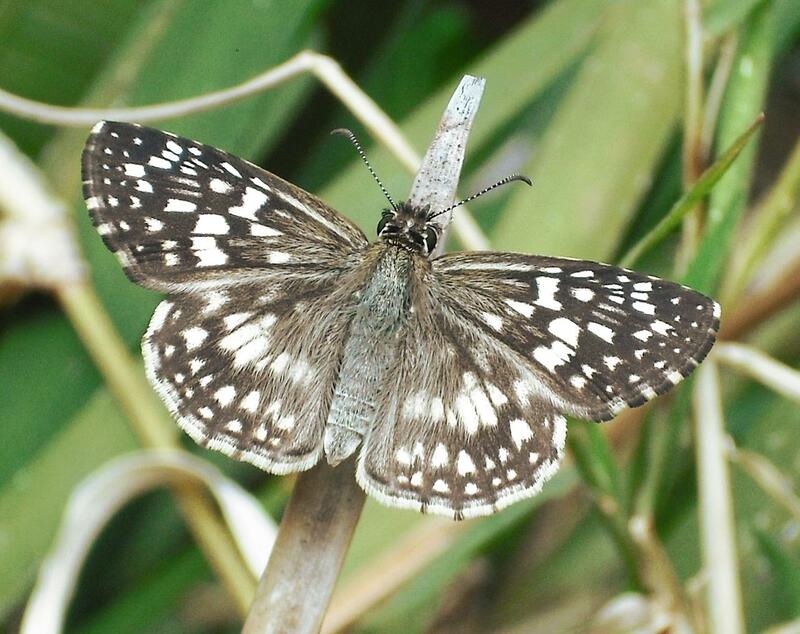 Tropical Checkered-Skipper (Pyrgus oileus). May 30. 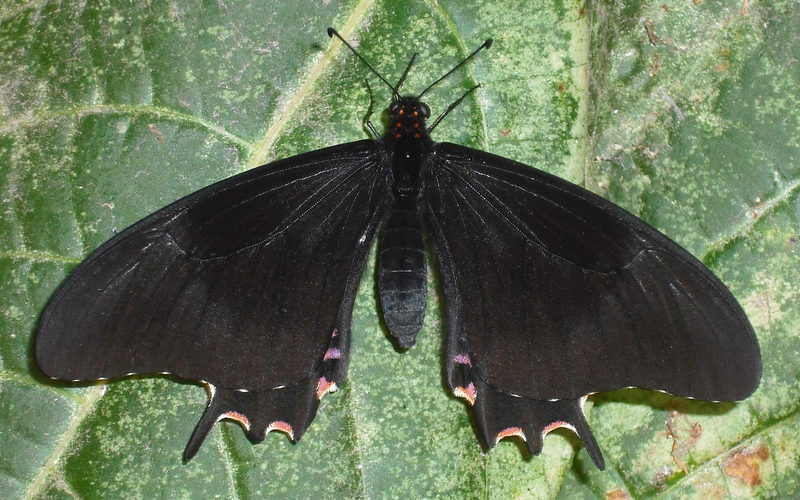 Sootywing (Bolla sp.). June 1. 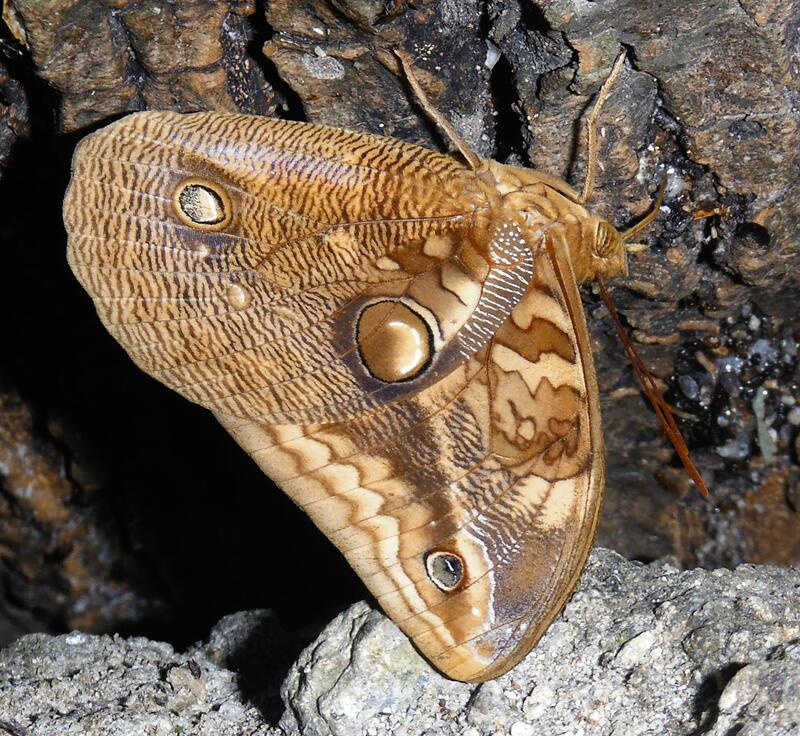 Moth (Rothschildia cincta). June 4. 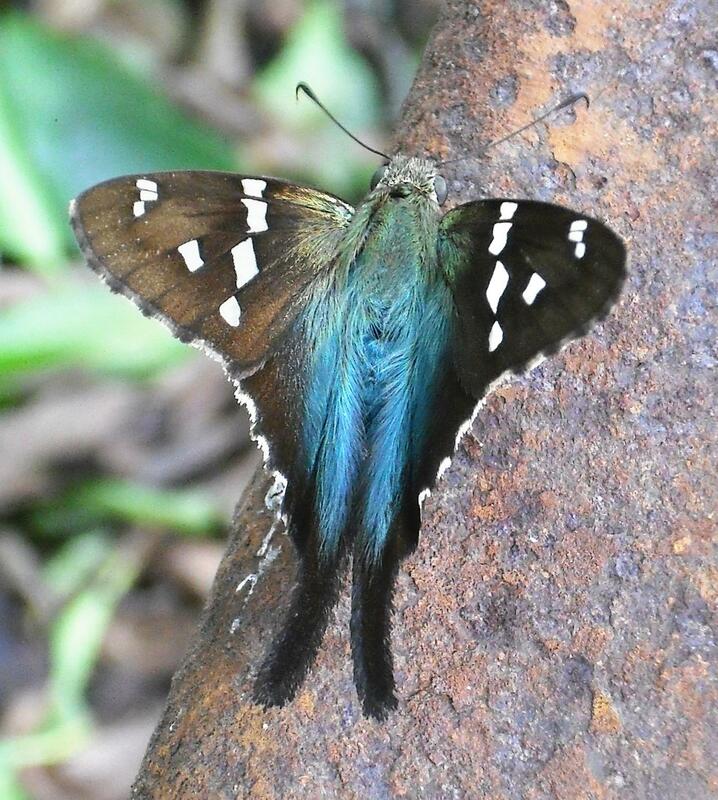 Long-Tailed Skipper (Urbanus sp.). June 18. 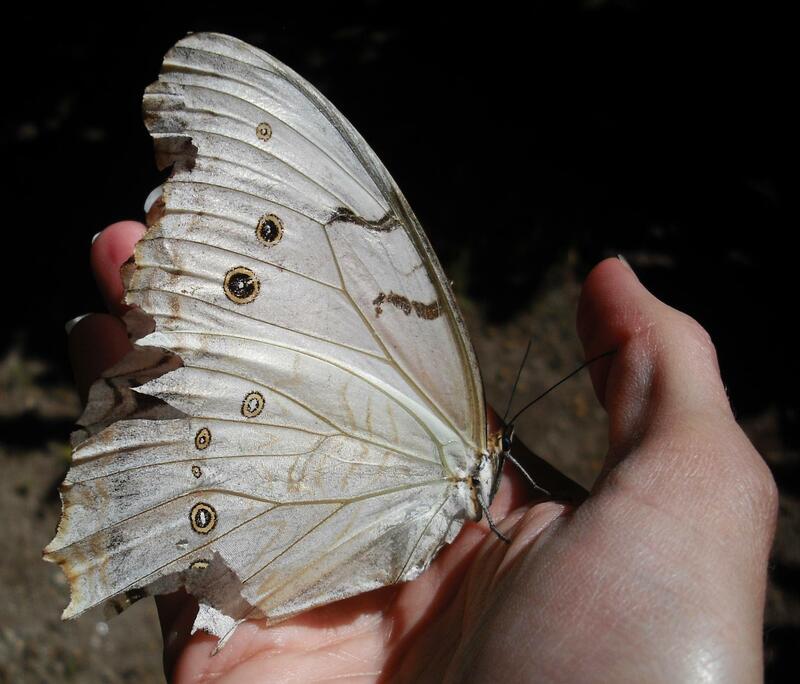 Pale Doberes (Doberes hewitsonius). July 3. 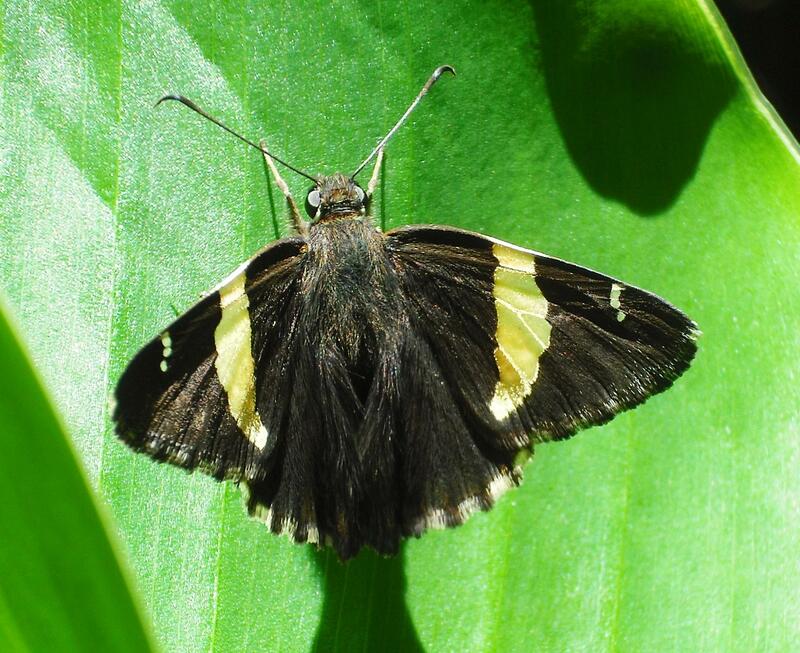 Golden Banded-Skipper (Autochton cellus). July 20. 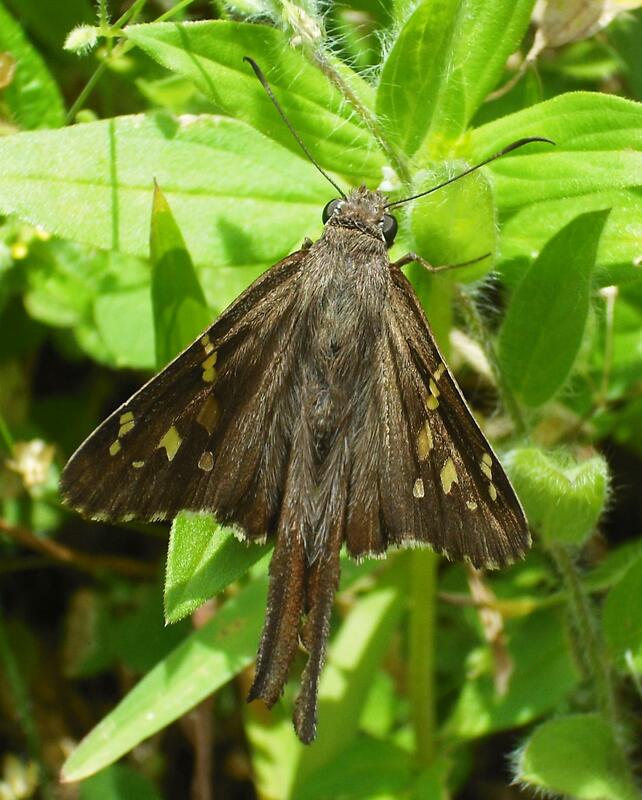 Montane Longtail (Urbanus prodicus). July 20. 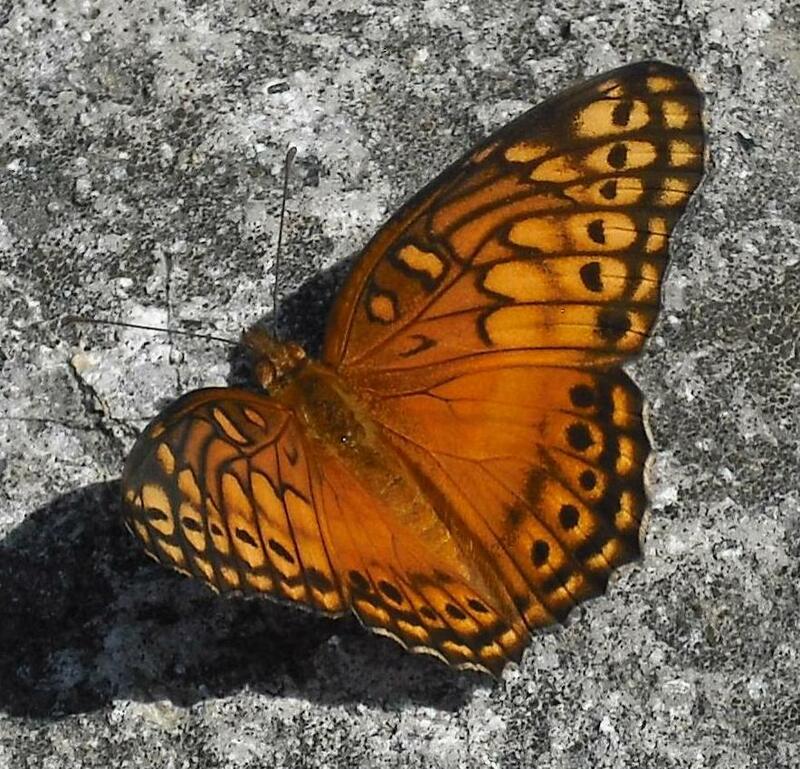 Mexican Fritillary (Euptoieta hegesia meridiania). July 23. 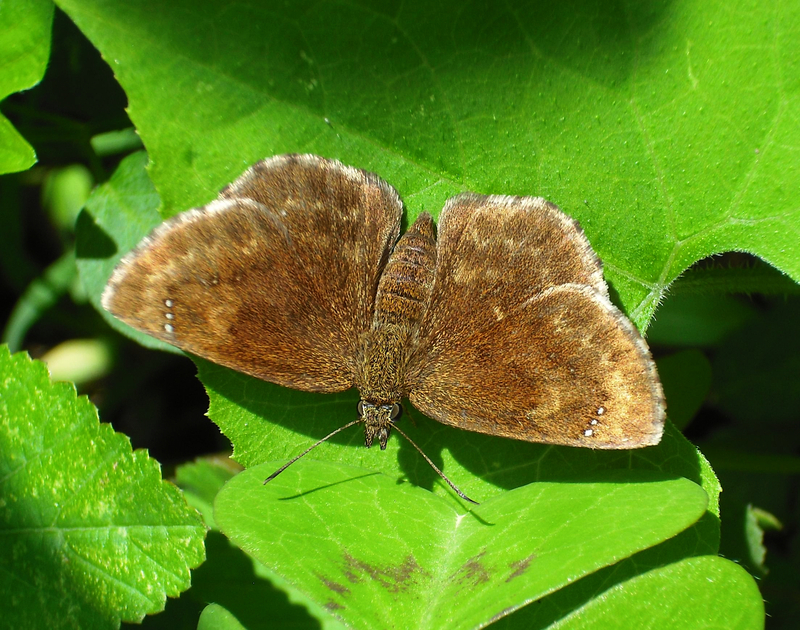 Elf (Microtia elva). July 23. 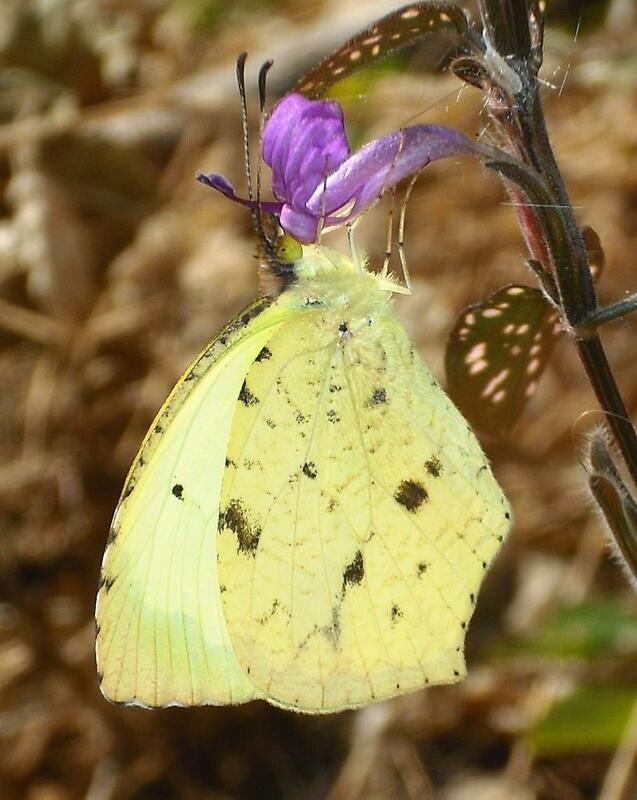 Dina Yellow (Pyrisitia dina). July 23. 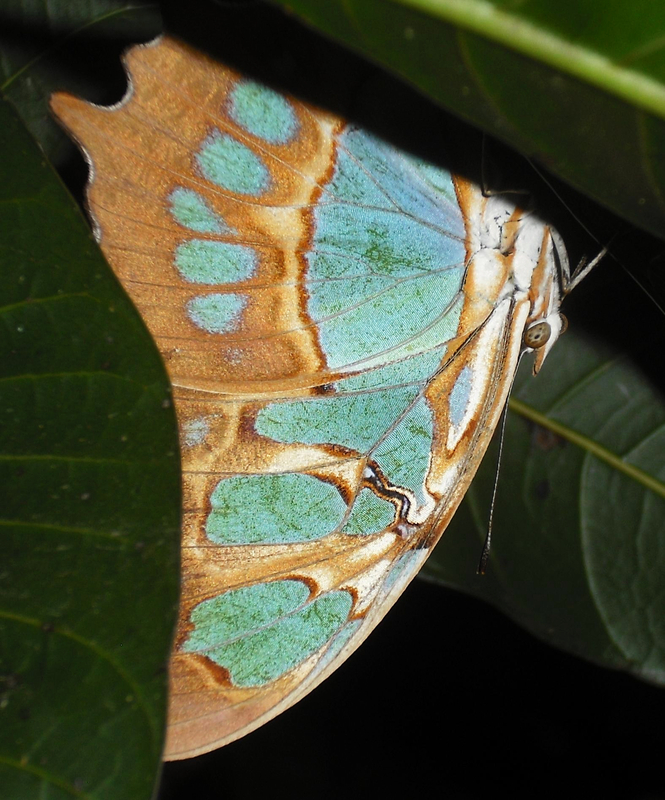 Theona Checkspot (Chlosyne theona mullinsi). July 23. 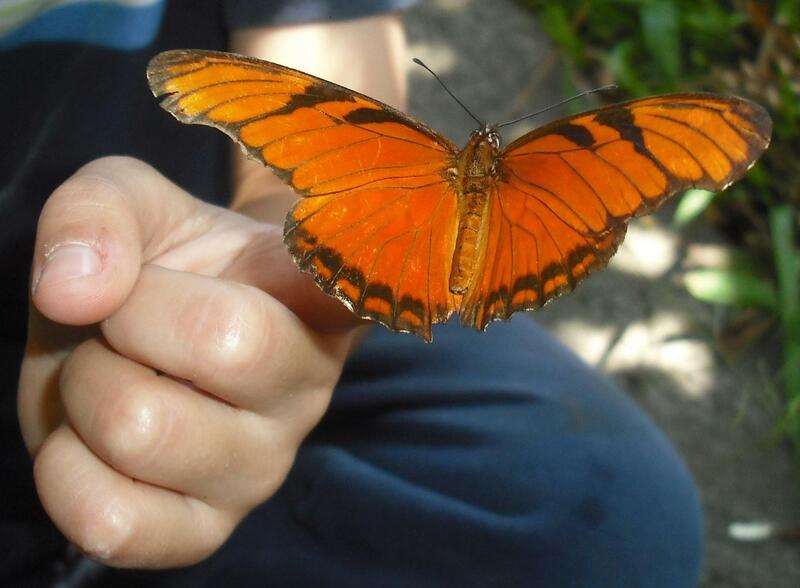 Juno Longwing (Dione juno). July 30. 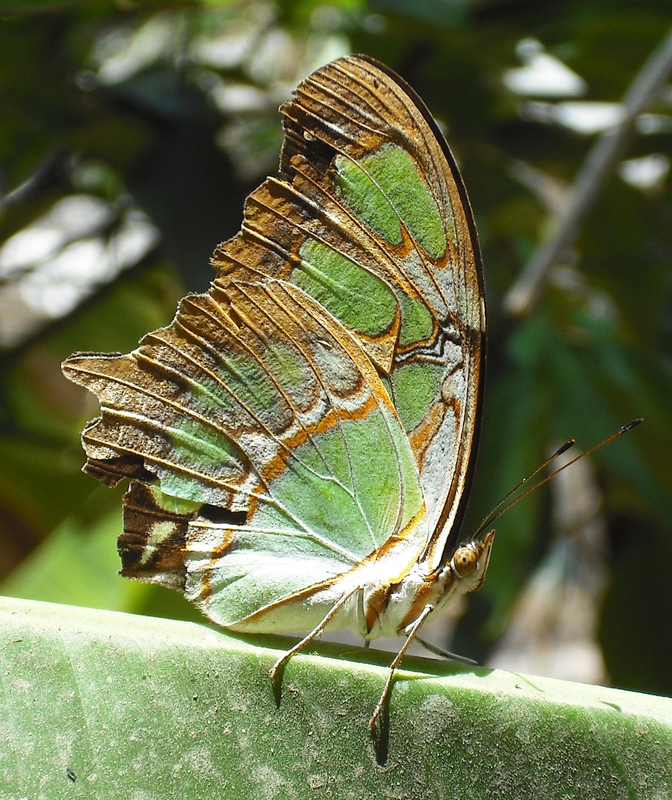 Malachite (Siproeta stelenes biplagiata). August 1. 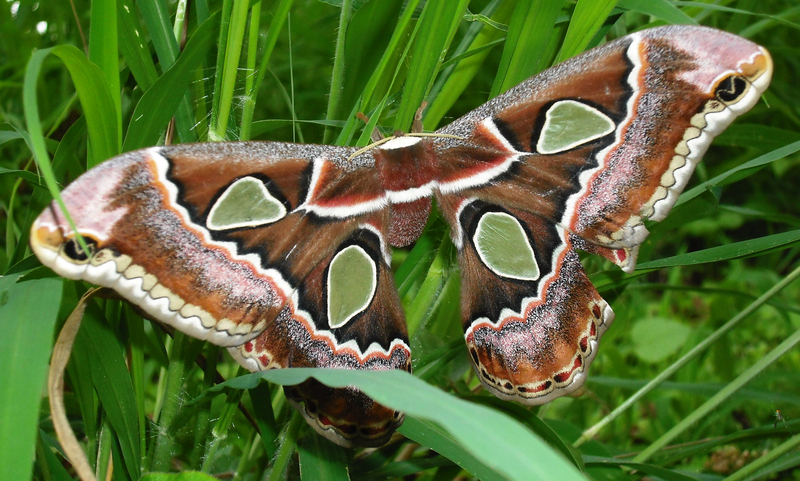 Moth (Dysschema leucophaea). August 21. 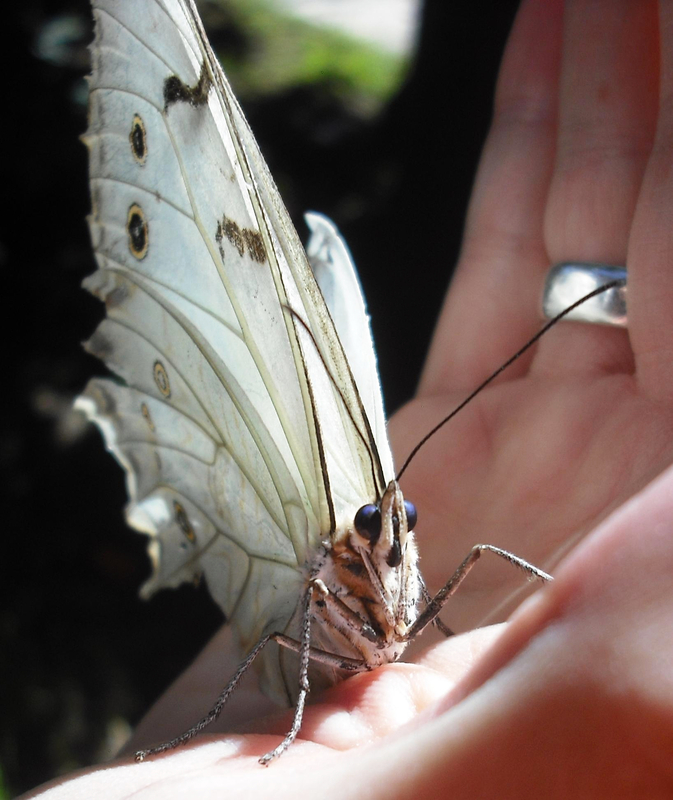 White Morpho (Morpho polyphemus). August 23. 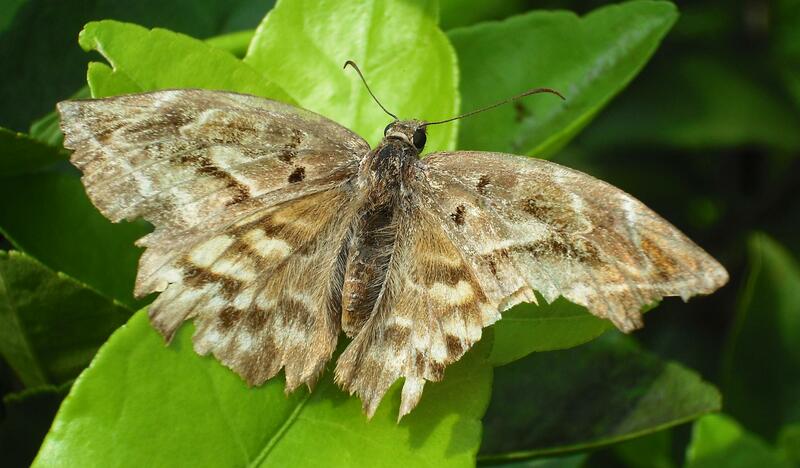 Dorantes Longtail (Urbanus dorantes). August 24. 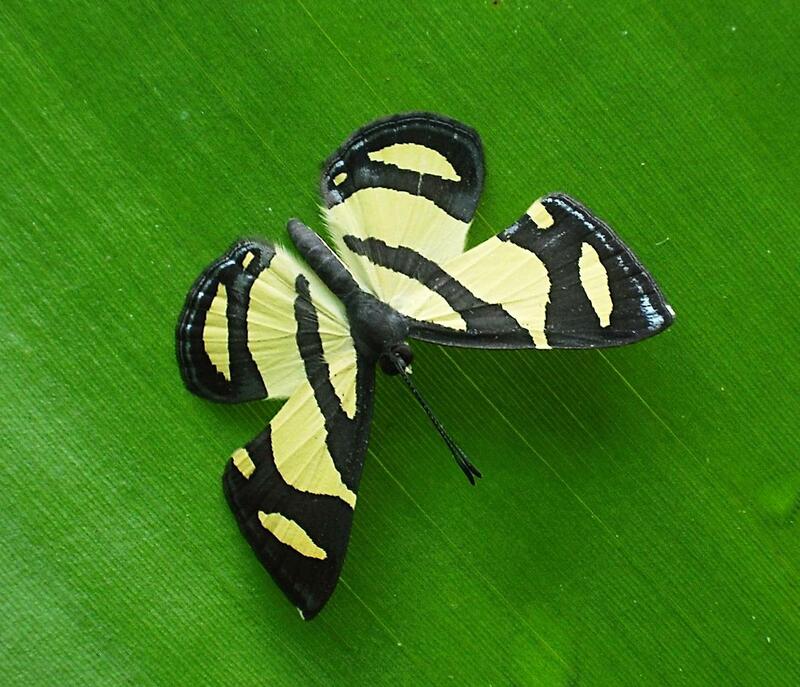 Split-Banded Owl-Butterfly (Opsiphanes cassina fabricii). September 16. 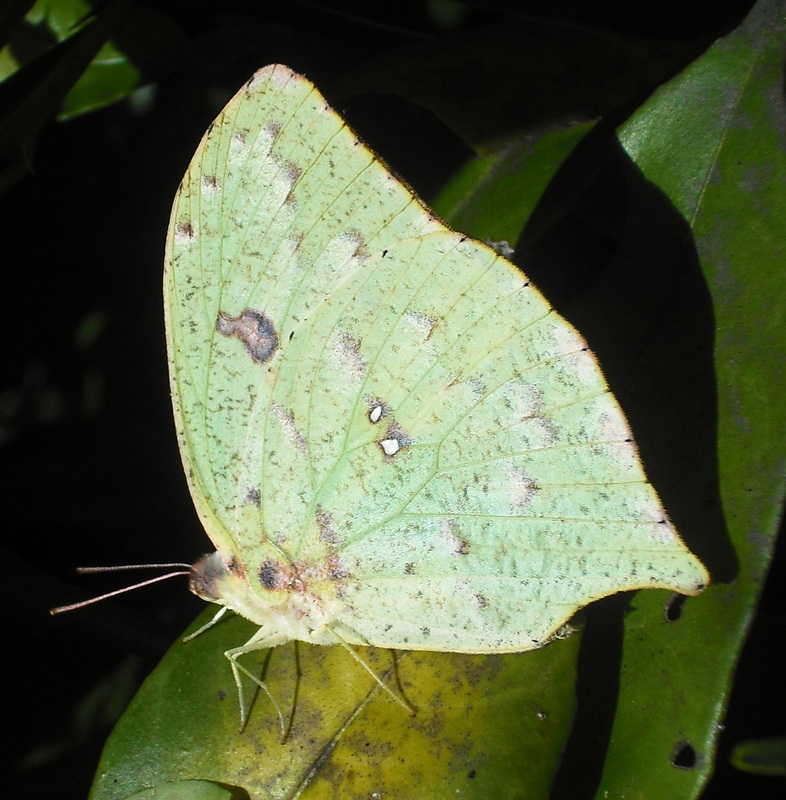 Tailed Sulphur (Phoebis neocypris virgo). 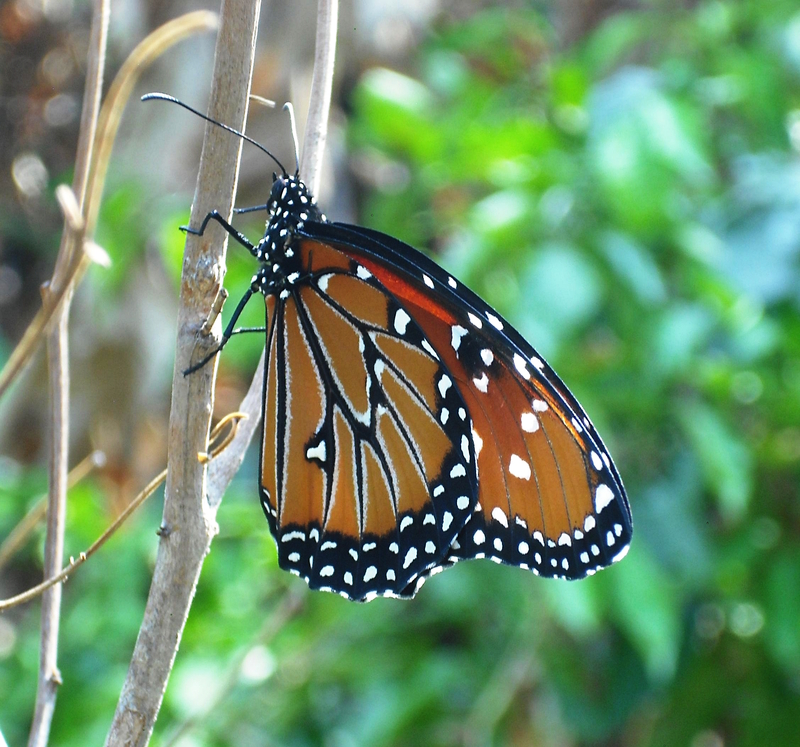 September 19. 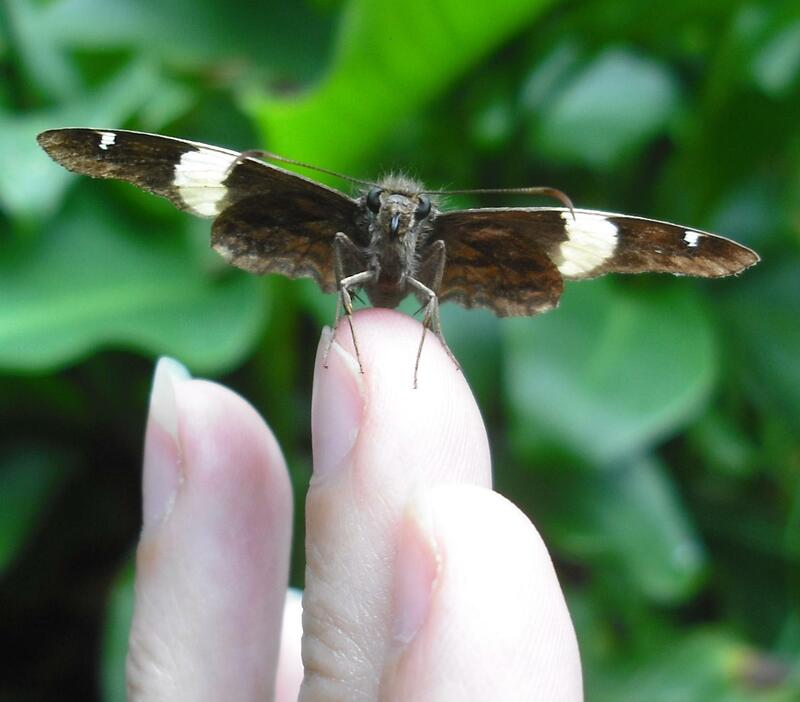 Golden Banded-Skipper (Autochton cellus). September 27. 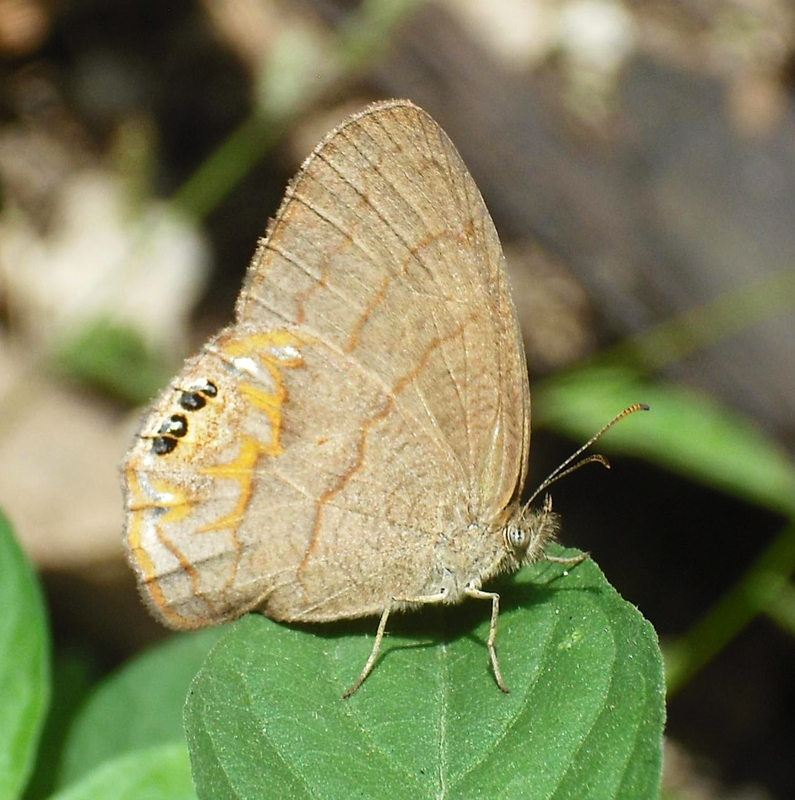 Nayarit Gemmed-Satyr (Cyllopsis nayarit). October 26. 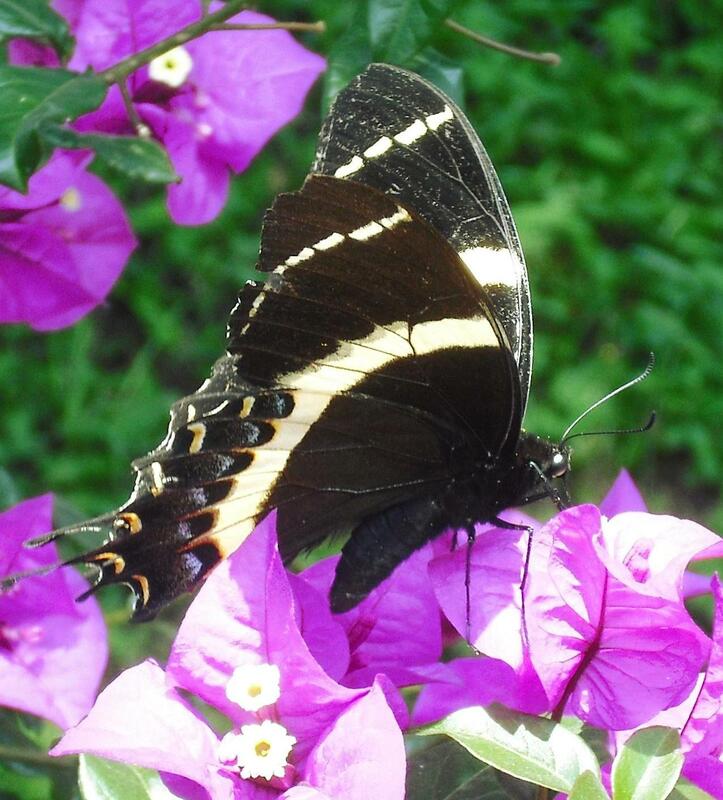 Magnificent Swallowtail (Papilio garamas). October 31. 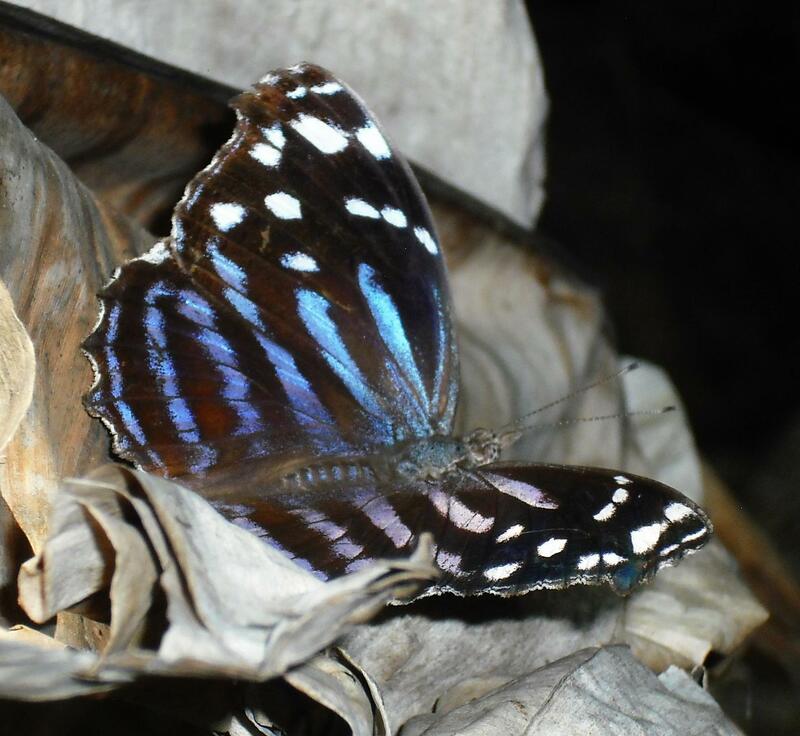 Blackened Bluewing (Myscelia cyananthe). October 31. 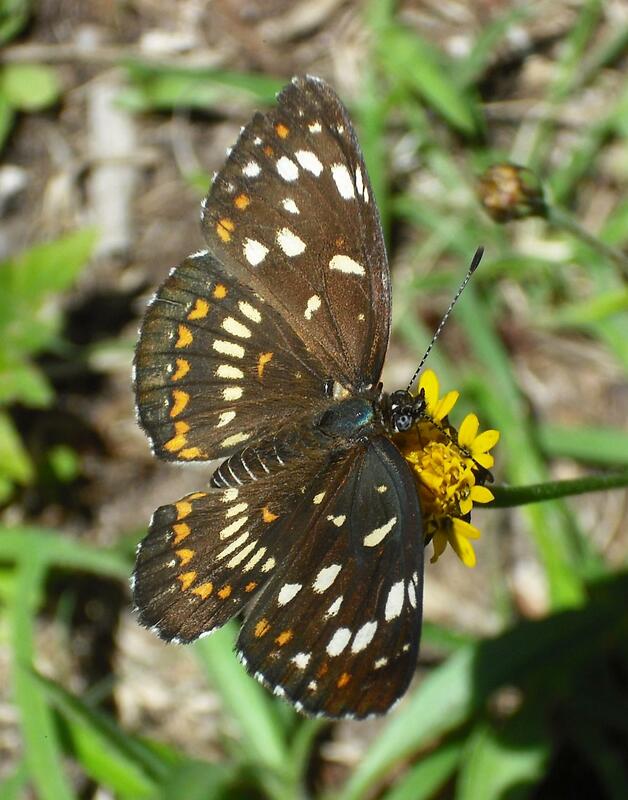 Texan Crescent (Anthanassa texana). November 23. 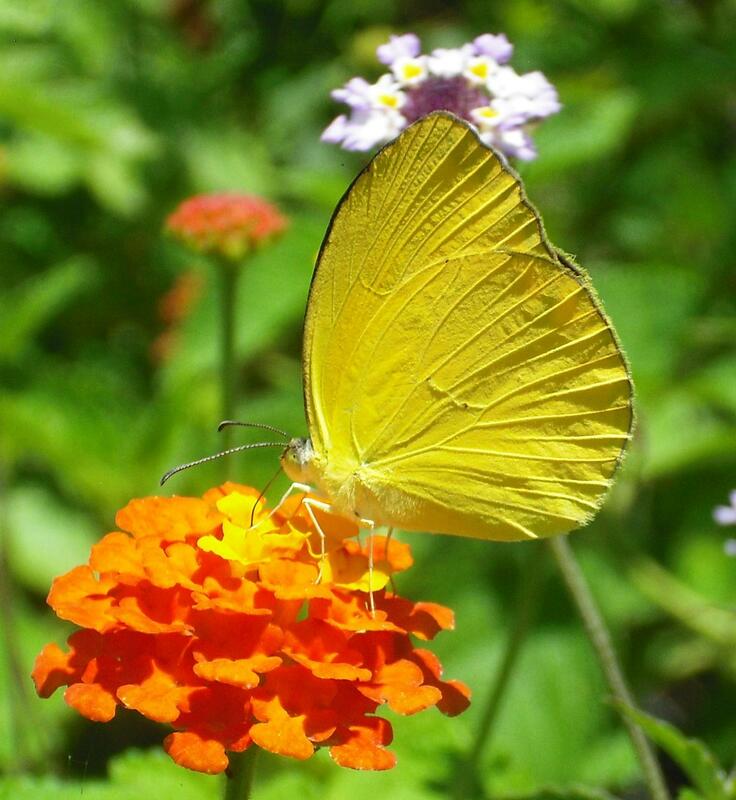 Salome Yellow (Eurema salome). December 12. 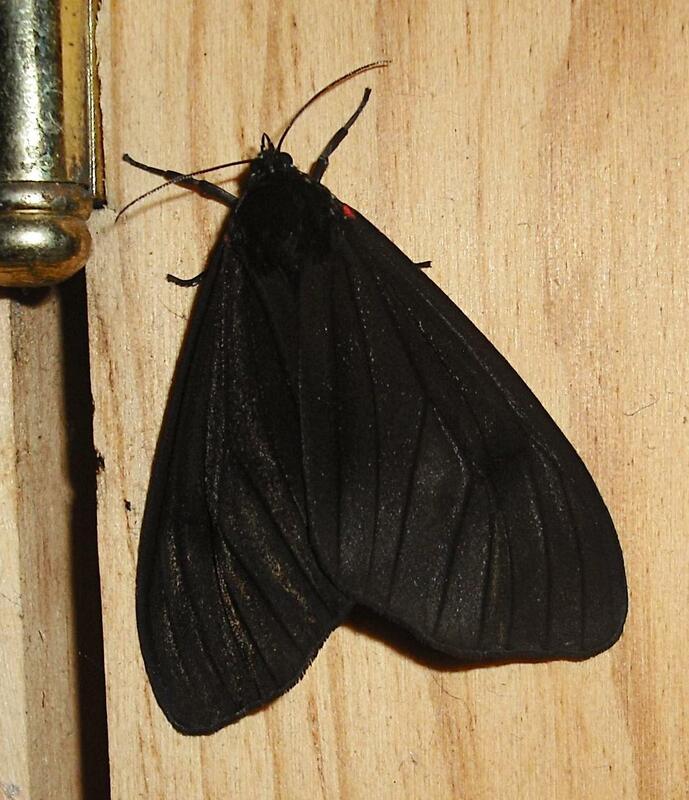 Moth (Amycles sp.). December 12. 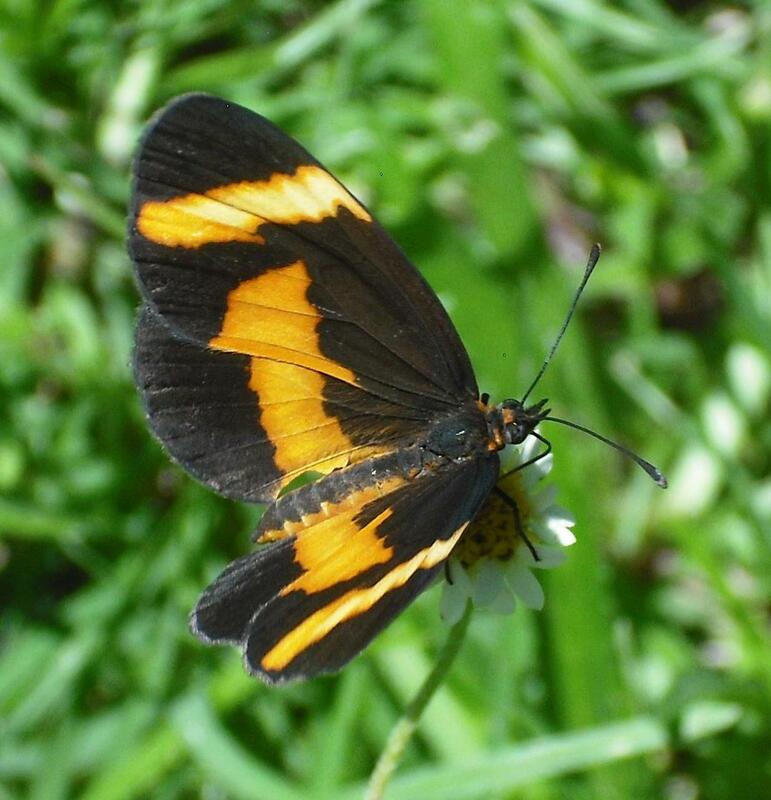 Southern Dogface (Zerene cesonia). December 14. 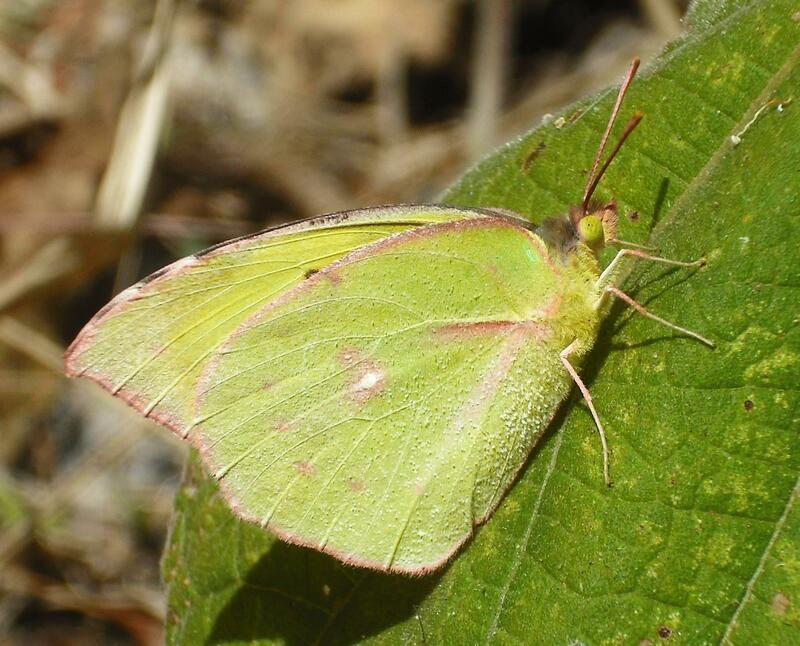 Here’s hoping you have a great 2015 with time to enjoy the critters in your area.